Photo of the Day – Rome | Aren't We All Just Tourists Here? 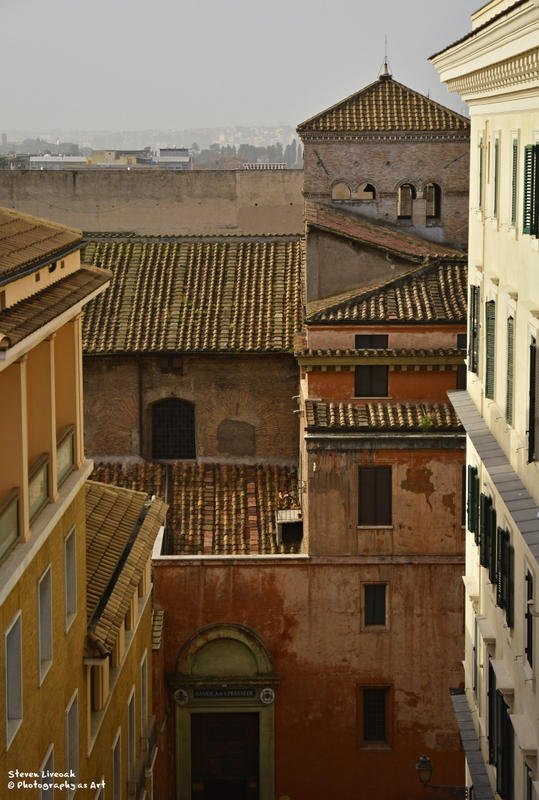 This is a scene from the terrace of our hotel..it’s actually a small and old church hidden away in an alley.. Unfortunately, I never could get inside..
For anyone that may be looking for more of my “Black and White” photos..feel free to stop by Hotshoe and follow along.. This entry was posted in Photography, Travel and tagged alley, Architecture, building, church, Italy, Rome, Travel by Steven. Bookmark the permalink.